“The First Noël” – KJAZZ Radio UK’s Highest Ranking Festive Song for Dec. 22! 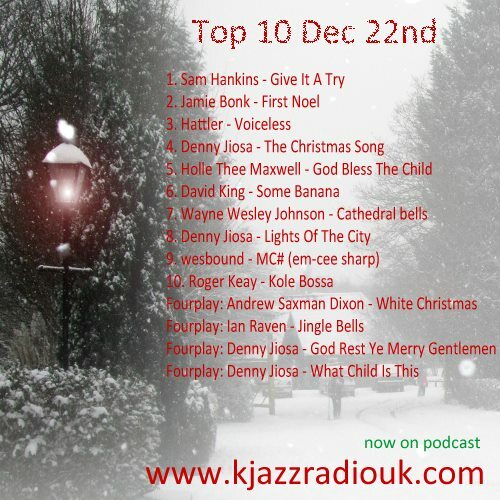 A huge thanks to KJAZZ Radio UK for their continued support and for making The First Noël their highest ranking festive song! I’d also like to again thank Wendy Irvine for her outstanding vocals and Sonya Mitlewski for her beautiful keyboards… The song wouldn’t have been nearly as good without them on it! Prev Post: Bill Binkelman’s Review of “The First Noël”!